I adored this book. It starts off mostly as a first person diary or epistolic thing, featuring a wise and wordy correspondent - slightly cantankerous but generally benevolent if isolated. It's set in the early 1900s in the pacific northwest frontier, and the first half could have easily been a Marilynne Robinson book sitting somewhere between Gilead and Housekeeping. There's a woman-against-the-world vibe to it that rings quite a bit Helen De Witt's Last Samurai, too. I loved those books, so I loved this. It even surpassed my dislike of American Frontier settings in general. BUT THEN, the plot takes a turn, and our heroine goes through an experience that undercuts what she knows about the world - but it's done in a relatively gentle, compassionate way. The actual plot picks up here as well, moving this from a wry, measured pace to something larger and broader but ultimately more exciting - from a river to an oceanic current. I have trouble writing about the experience of this book without divulging any plot details. This is a rare case where I was first introduced to an author on a strong recommendation but found it a bit underwhelming. 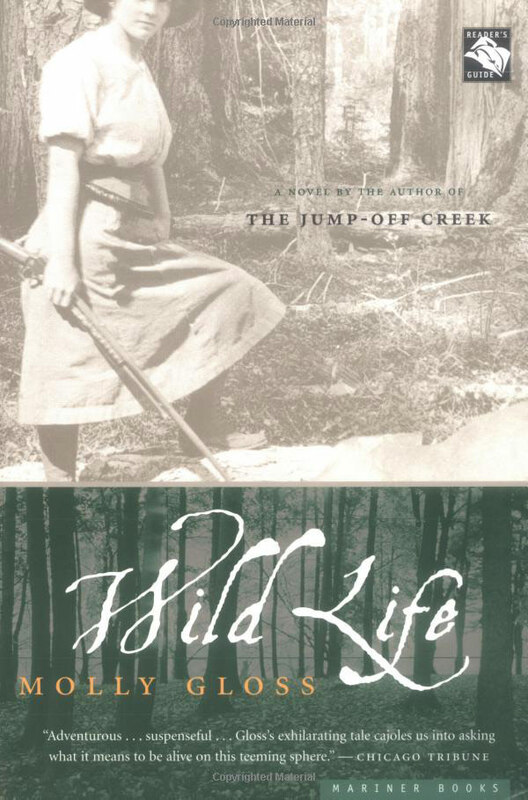 But then I picked up a second - Wild Life - and LOVED it. But I think of Montaigne: "What we call monsters are not so to God, who sees in the immensity of his work the infinity of forms he has comprised in it." I wondered then, as I do now, if he might have been a man hiding his lamp under a basket, so to speak. It's well known that the remote logging camps are scattered with educated men - lawyers, doctors, teachers, men who have held important positions in business - who have turned to the hermit life after legal or personal calamity of one kind or another. I asked him nothing of that kind and offered him nothing of my own history: such is the Western way. The Island School, having lost a string of teachers to the custody of lonely bachelors, has lately taken to hiring girls whose principal qualification is their seeming unsuitableness as brides - hard featured and repellent girls of vicious disposition and shiftless intelligence. I expect my sons to become wise through teaching one another the canny sufference of inept teachers. [get a load of this word choice] Unlucky, too, has been her experience of childbearing: a miscarriage, then a stillboarn son, then a daughter borne hard and born early, and a surgeon's hysterical removal of her womb. He has gotten to be fourteen with no encouragement from me. I believe the perfect age for any son is a certain week in his eleventh year when he balances briefly at the triangular intersection of self-sufficiency, unconditional love, and eagerness to please.